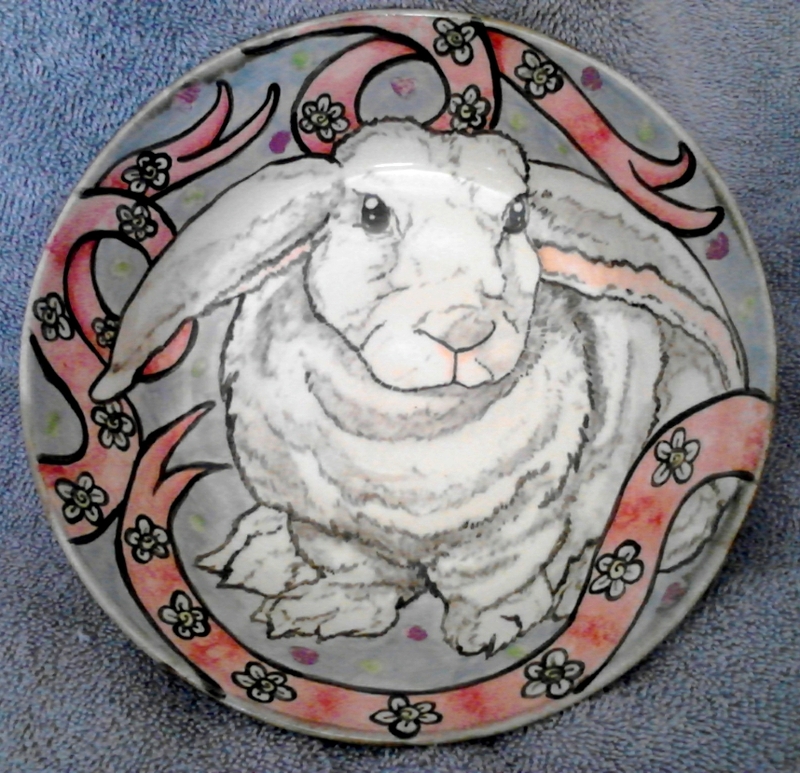 A memorial bowl of a lady's beloved bunny, Cinderella. Fired to ^03. I love bunnies. You do a great job of bringing out the character in this cutie. And I love the ribbons. They really tie everything together (no pun intended). You make good use of the negative space. I wish I had your talent.